Oracle & People Matters is excited to bring to you the #LetsTalkTalentWeek with a fresh perspective after the successful 7 seasons of Let’s Talk Talent – A Modern HR India Seasonal. 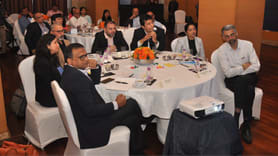 In this edition, we will focus on what HR needs to do to future proof itself in the age of continuous disruptions & much more. 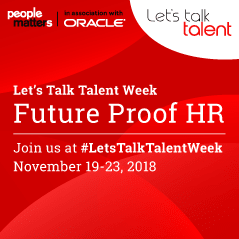 Gear up for an exciting series of conversation as part of Oracle – People Matters Let’s Talk Talent Week 2018 from November 19-23.